Leng Rongquan, formerly the vice general manager at China Telecom, China’s largest state-run telecommunications firm, has been placed under investigation by the Party’s anti-corruption authorities, according to state news media. Leng was also the deputy Party secretary at the firm, a more powerful post. And he is long known to be a business associate and golfing buddy of Ling Wancheng, the brother of Ling Jihua, a former aide to China’s previous Party leader Hu Jintao, who was removed from his post last December and also placed under investigation. Later reports in the Chinese press linked Ling Jihua with a broader clique, including military top brass and the former security chief, that formed a conspiracy inside the Party and sought power. It is unclear whether the removal of Leng on suspicions of “severe violations of Party discipline” relates merely to corrupt behavior, or to being part of a faction. Caixin, a business media, cited a person “with information on the matter” saying that Leng Rongquan and Ling Wancheng are also suspected of manipulating the stocks of publicly traded companies in the United States. 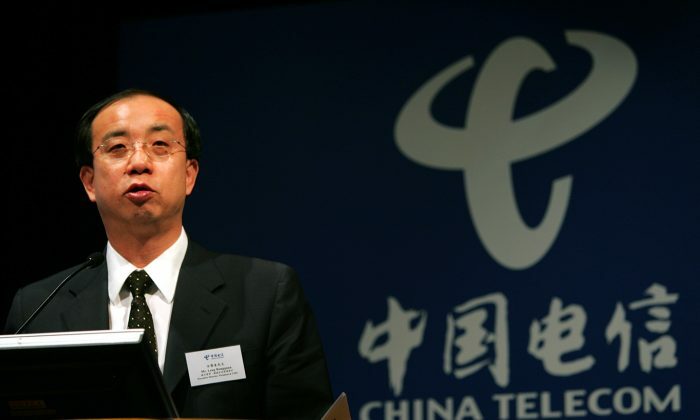 Prior to assuming his roles at China Telecom, Leng was the director of a China Telecom research institute in Beijing. One of Leng’s connections to the Ling family was through his tie at TianTian Online, an video and audio platform, where he was the legal representative. In that post he did business with a company controlled by Ling Jihua’s wife; Ling Wancheng was also at one time the CEO of TianTian Online. The brother of a purged Party official is said to be in hiding in the United States, while regime officials do their best to track him down. Two associates of former Chinese security boss Zhou Yongkang face trials.